Love Dog Man or Tom and Jerry? Then you’ll love this graphic novel! 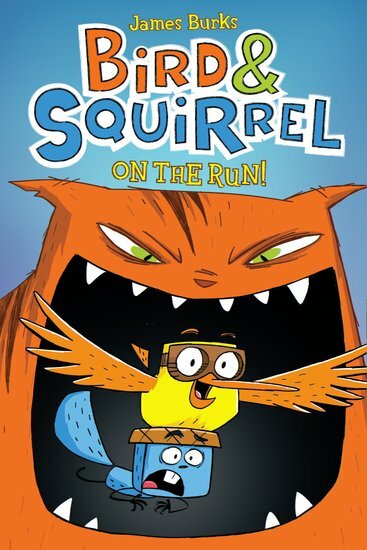 A bird, a squirrel and a hungry cat… Basically, a cartoon in book form! Meet two mismatched buddies: Bird and Squirrel. Squirrel is afraid of his own shadow. Bird is as carefree as, well, a bird. Now say hello to Cat: the villain of this story. Cat wants to eat Bird and Squirrel. But he’ll have to catch them first. (And that won’t be easy.) Now Bird and Squirrel are heading south for winter on a wacky road trip. But watch out! That pesky Cat is hiding around every bend. Splat! Boom! Kapow! Brilliant colour artwork: daft giggles in every frame!